Jeannie Diefende rfer has over 28 years of technical and operational experience with 10+ years in executive leadership positions in Verizon Communications, a Dow 30 company, including a 10,000- person global customer care organization for Verizon’s largest enterprise customers. Ms. Diefenderfer achieved over a billion dollars in synergies for the firm during the three years she served as the Chief Procurement Oﬃcer when she managed a $10 billion-plus purchasing program. In addition, as the senior vice president of Global Engineering & Planning, she implemented a network capital program of over $10 billion to expand Verizon’s global backbone network across six continents, as well as its nationally renowned Fios network. Ms. Diefenderfer is an independent director on the board of Windstream Holdings, Inc. (NASDAQ: WIN), Chair of the Accenture Network Advisory Council, and Vice Chair and Trustee of Tufts University. She has served on the boards of MRV Communications, Westell Technologies and the Ms. Foundation for Women. From 2001 to 2008, she was a member of the board of Independent Trustees at Citizens Funds, an SRI mutual fund complex. Internal to Verizon, she has served on the boards of several Employee Resource Groups, including the Minority Multicultural Association of NYNEX, Women’s Association of Verizon Employees, and the Asian Focus Group. Ms. Diefenderfer was featured in the 1999 Crain’s New York Business “40 under 40,” as one of 40 young “rising stars” and was a member of the 1999 class of the David Rockefeller Fellows Program. In addition, she received the 1999 Corporate Achievement Award from the Organization of Chinese Americans and the 2001 Star Award from the New York Women’s Agenda. 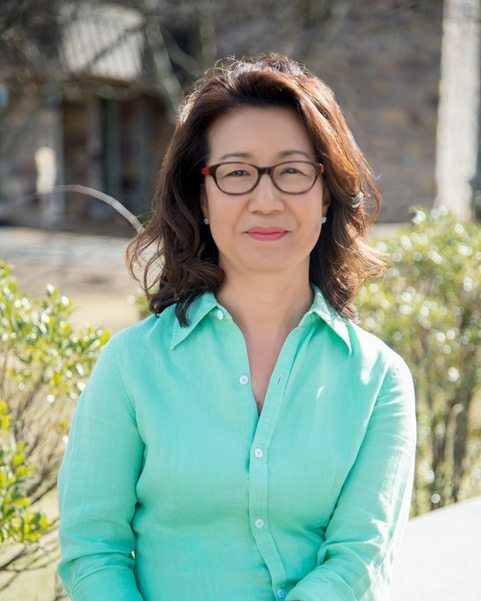 A native of Seoul, South Korea, Ms. Diefenderfer immigrated to the US when she was 13 years old. She holds a BS in Chemical Engineering from Tufts University, and an MBA from Babson College. Ms. Diefenderfer and her husband, George, have two children, Mia and Derek. She was first elected to the Tufts University Board of Trustees in 2008.